Cut an unwavering path no matter which way the wind blows. 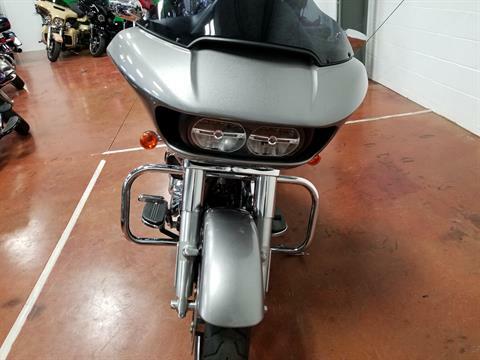 Those who appreciate the aggressive look and wind-cutting power of the frame-mounted shark nose fairing and dual Daymaker™ Reflector LED headlamps on the Road Glide® model wouldn’t ride anything else. 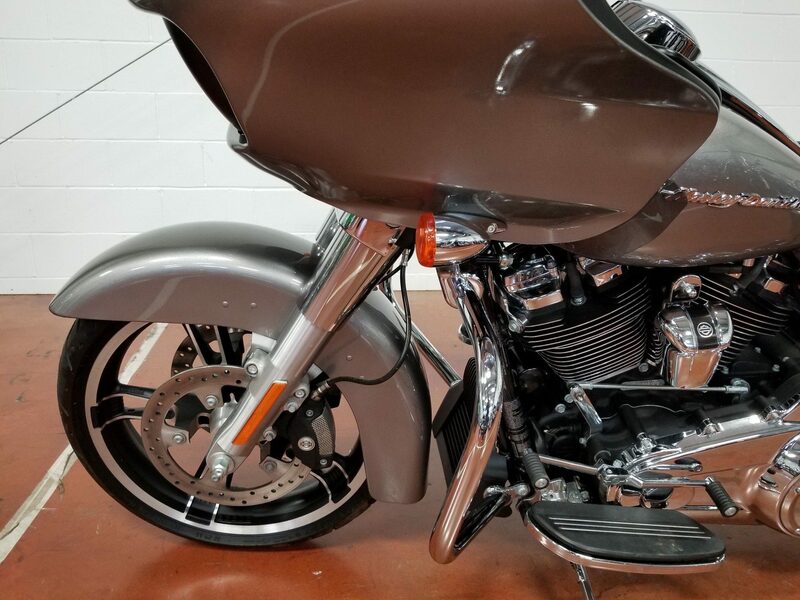 And now the ride gets even more aggressive thanks to the all-new Milwaukee-Eight® 107 engine, all-new suspension and Reflex Linked Brembo® brakes. The Road Glide features the BOOM!™ Box 4.3 Radio that puts out 25 watts per channel. 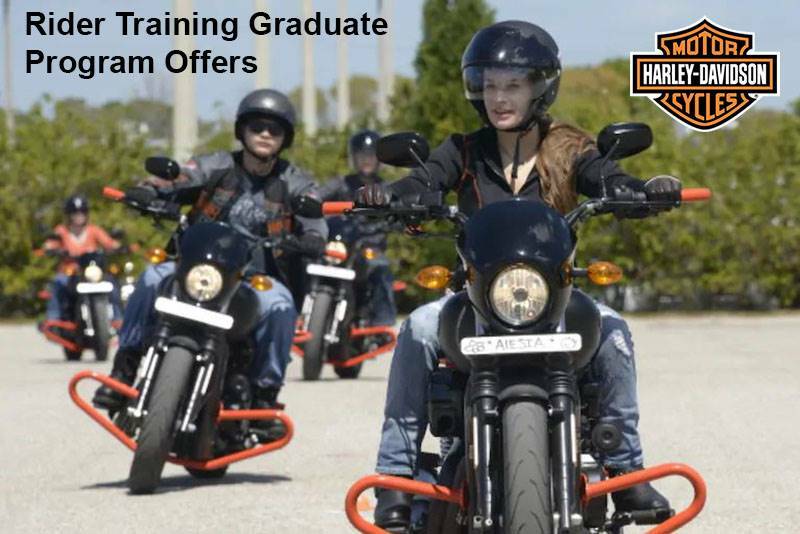 It’s time to make your own assault on the wind. 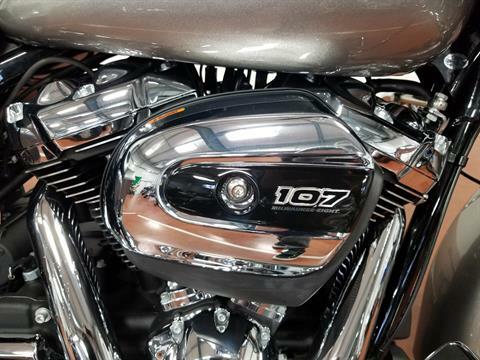 MILWAUKEE-EIGHT™ 107 ENGINE OVERVIEW: Here are eight ways the Milwaukee-Eight™ 107 engine gives you a better ride*: More Power- Bigger cylinders, four-valve cylinder heads and dual spark plugs deliver 10% more torque and more power throughout the rev range with no net weight gain. 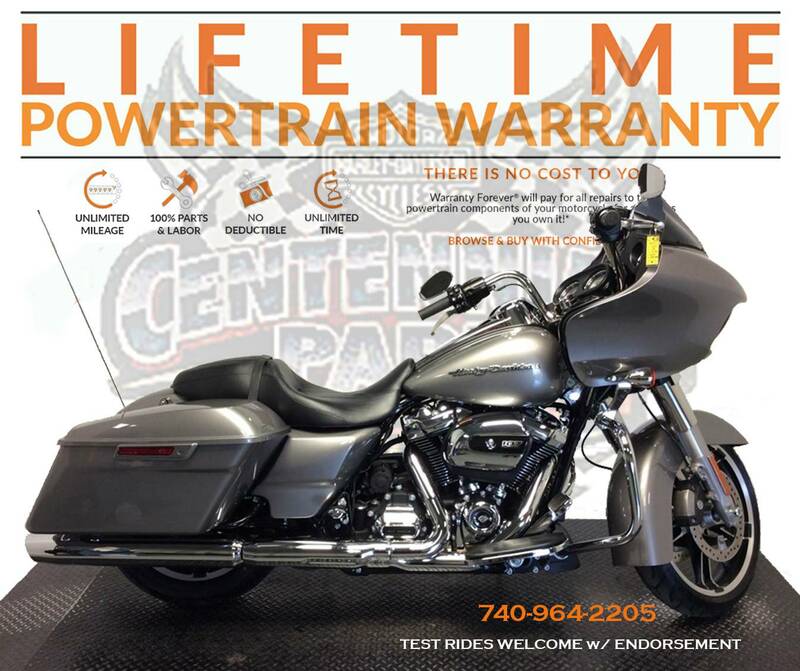 Better Fuel Economy**- The power comes with improved fuel economy to give you more out of every tank of gas. 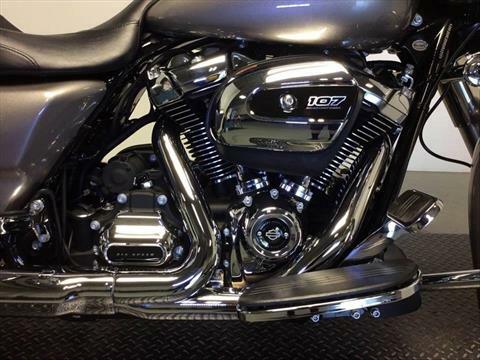 Heat Management- Precision oil or water cooling for cooler running and consistent performance, from stop-and-go traffic to highway speeds. 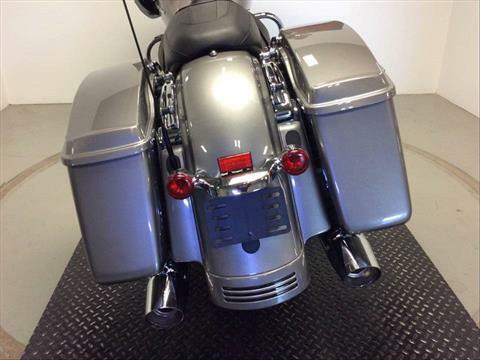 More Passenger Comfort- Positions for the rear exhaust pipe and catalytic converters provide a more comfortable ride. 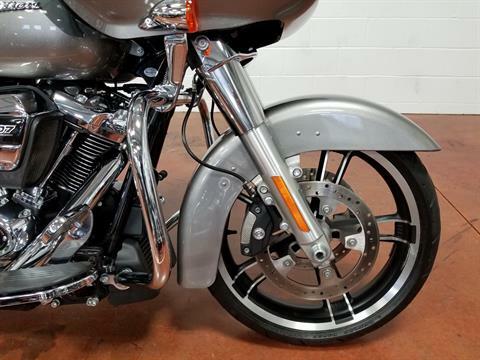 More Charging Power- A charging system with 50% more power at idle to make easy work of the demands modern touring features put on an electrical system. Smoother Running- The counter-balancing system, rubber mounts, lower idle speed and dual knock sensors for more precise timing control and smoother running from idle to top gear. Less Maintenance-The valve train requires no adjustment no matter how many years or miles you ride. 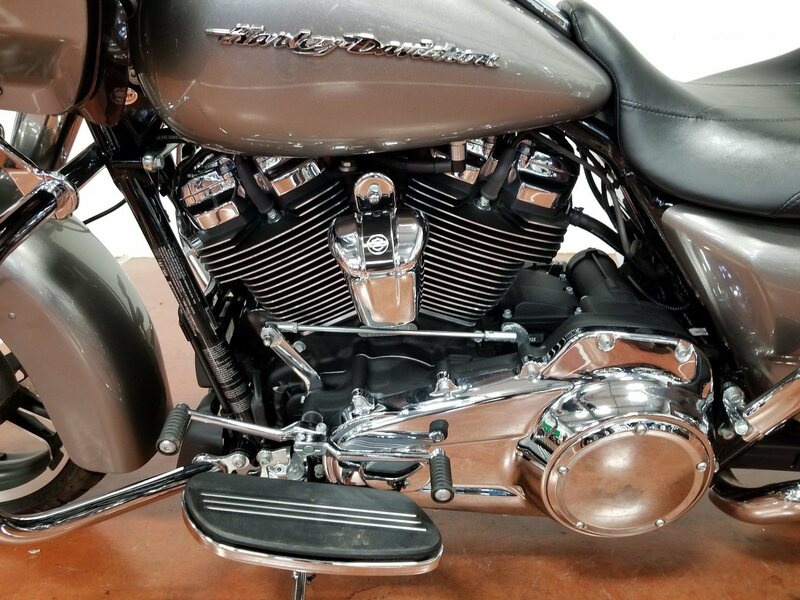 Narrow Primary- The narrower primary drive gives your left foot a straighter, easier reach to the ground, for an easier lift off and more control at stoplights. FEEL: Starting decades ago, when early riders bolted plastic windshields to their machines and began crisscrossing the country, the Harley-Davidson® touring motorcycle has already gone places no one could have imagined at the beginning. 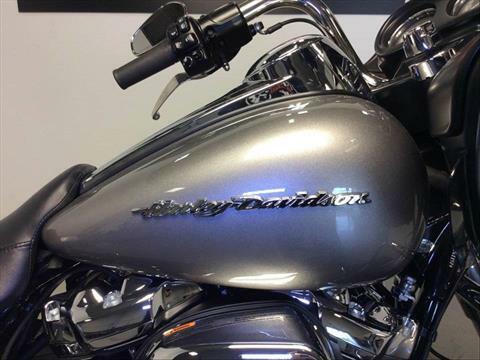 But we never stop working, or riding, to discover what comes next. We get in the saddle for countless miles, experiencing every condition Mother Nature can throw at us. We talk to riders all over the world. Then we put all the learnings to use. 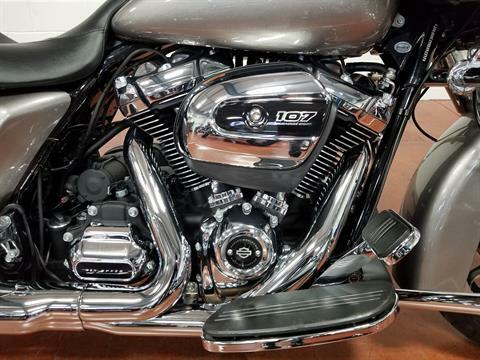 When you feel the ride on a new Harley® touring motorcycle, you’ll understand why there is no substitute for the way we design and build motorcycles. 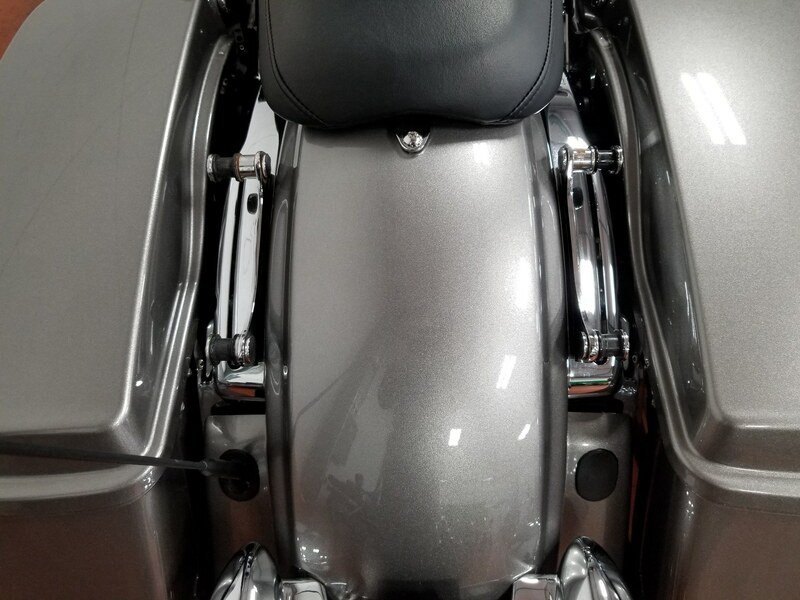 From the response of the Milwaukee Eight™ engine to the smooth airflow, passenger space, back rests, seat textures, ergonomic hand controls, heat management and everything else a rider or passenger can feel out there, it’s all dialed in. Hit the road and do a little country crisscrossing of your own. You’ll come back with a smile. COMFORTABLE HANDLEBAR: The handlebar on the Road Glide® motorcycle makes the riding position more comfortable for a wider range of riders. 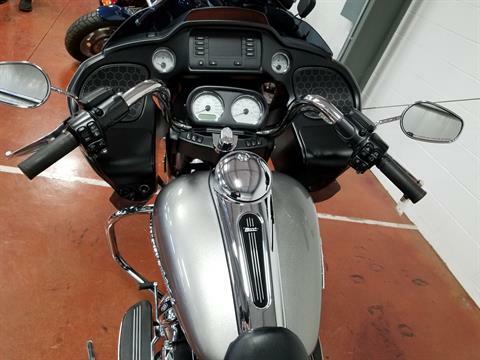 The hand grips are closer to the rider. 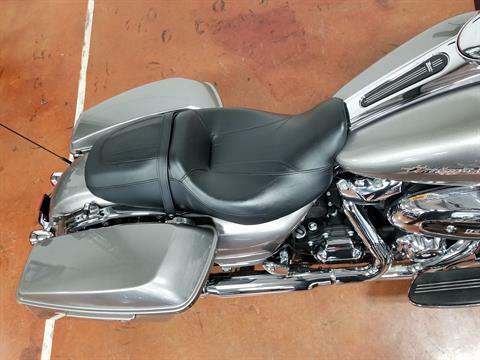 It means no long stretch to reach the bars, allowing you to lie back and rack up the miles. 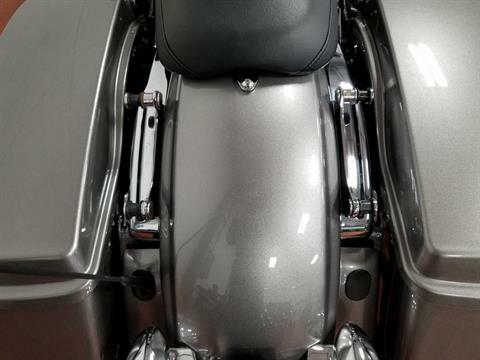 FAIRING DESIGN REDUCES HEAD BUFFETING: Over the years, riders of the Road Glide® motorcycle have put in more miles behind its fairing than you could count with a supercomputer. 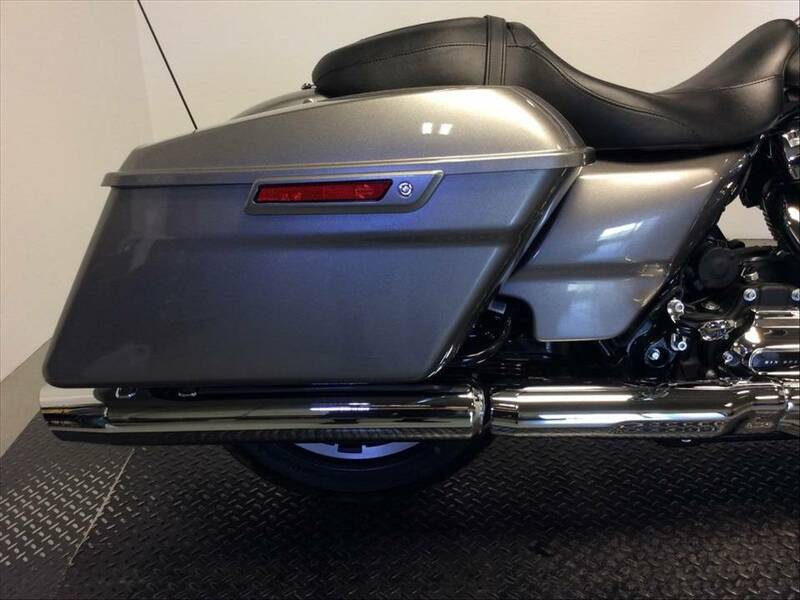 Its fatigue-reducing fixed frame design has made the Road Glide® motorcycle the choice of those who live to ride the big miles. It was good, but now it gets amazing. 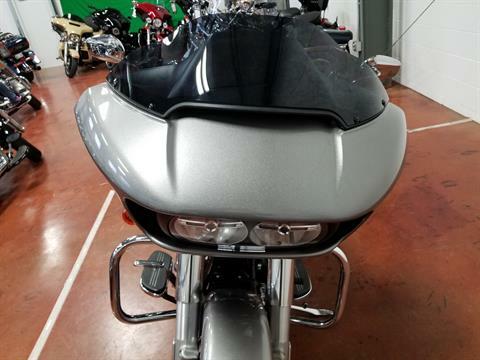 We went into the wind tunnel and out on the road to build the next Road Glide® motorcycle fairing. When you experience what we came back with, you're simply not going to believe the ride. 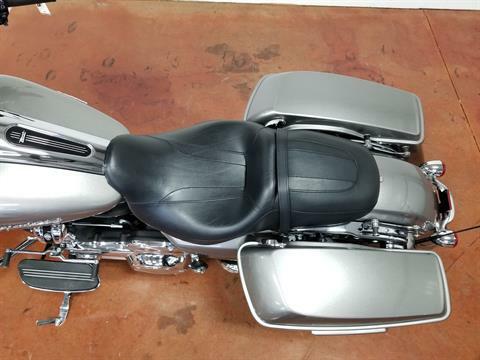 No fairing in the history of motorcycling has ever cut through the wind like this one does. 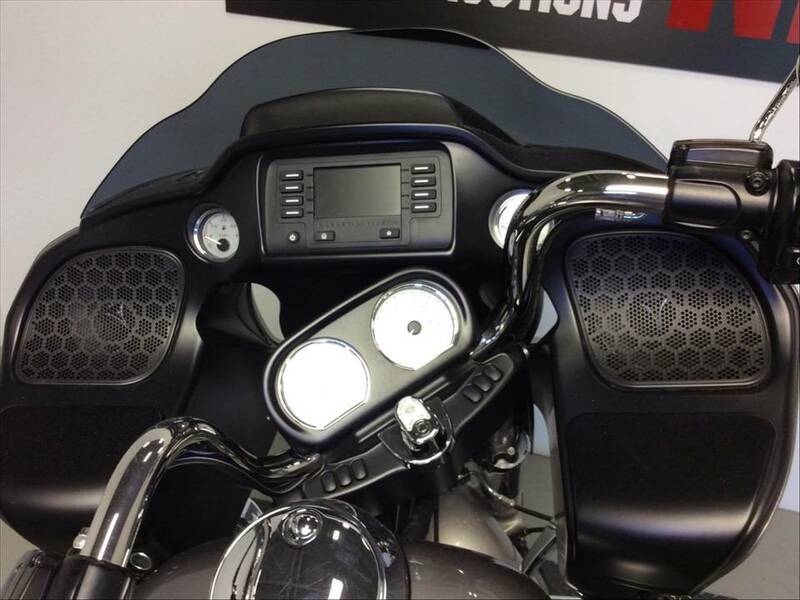 It's got triple splitstream vents that open and close to equalize pressure in front and behind the windscreen. 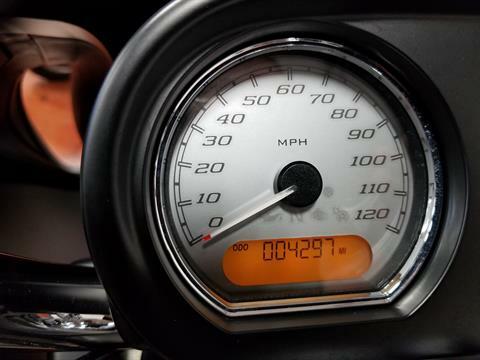 In head-buffeting tests, it beats every other motorcycle on the road. Hands down. You've never experienced a ride like this. 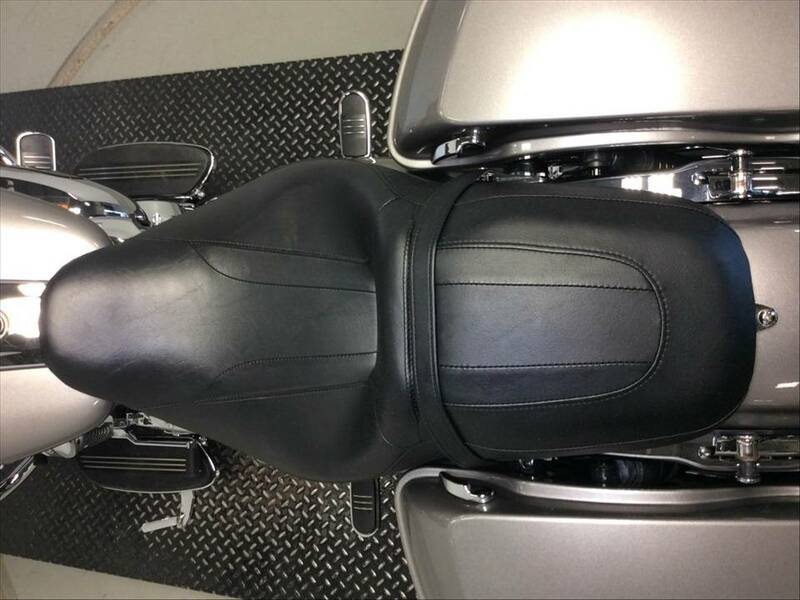 TWO-UP STREET GLIDE® SEAT: There's a one-piece, two-up Street Glide® seat on the Road Glide® motorcycle. 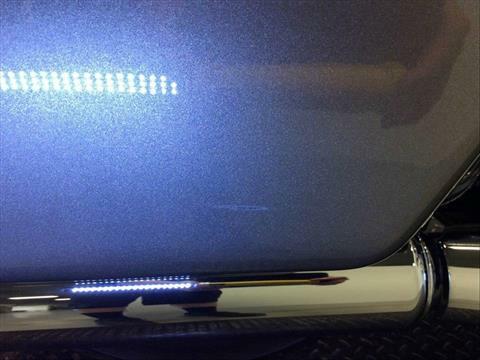 It combines a custom look with a design that's built for comfort. No one puts more miles in the saddle to design a saddle than the Harley-Davidson Motor Company. Throw a leg over this one. 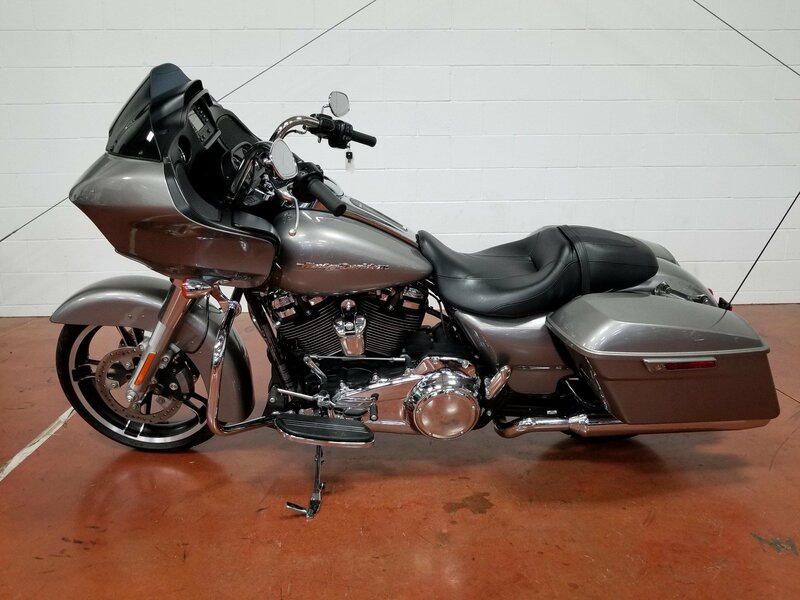 You'll be good to go for all-day ride. STREAMLINER FOOTBOARDS AND STREAMLINER PASSENGER FOOTPEGS: The Road Glide® motorcycle is outfitted with full-length Streamliner footboards, Streamliner passenger footpegs and a heel/toe shifter. The look is custom and the function is pure comfort. The footboards are rubber-isolation mounted to separate your feet from vibration. And the heel/toe shift means easier, more comfortable shifting. It also saves wear and tear on the top of your left boot. Because now you can use your heel to shift to a higher gear. 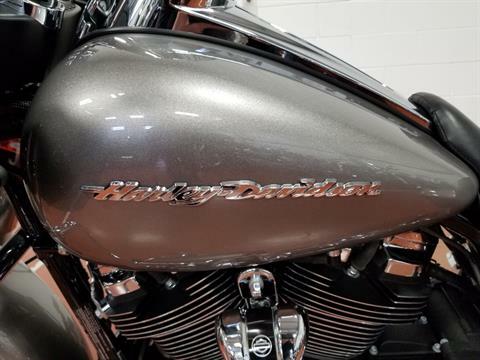 INFOTAINMENT: Starting decades ago, when early riders bolted plastic windshields to their machines and began crisscrossing the country, the Harley-Davidson® touring motorcycle has already gone places no one could have imagined at the beginning. But we never stop working, or riding, to discover what comes next. We get in the saddle for countless miles, experiencing every condition Mother Nature can throw at us. We talk to riders all over the world. Then we put all the learnings to use. When you feel the ride on a new Harley® touring motorcycle, you’ll understand why there is no substitute for the way we design and build motorcycles. From the response of the Milwaukee Eight™ engine to the smooth airflow, passenger space, back rests, seat textures, ergonomic hand controls, heat management and everything else a rider or passenger can feel out there, it’s all dialed in. Hit the road and do a little country crisscrossing of your own. You’ll come back with a smile. JUKEBOX WITH USB PORT FOR IPOD/IPHONE: The Jukebox design on the Road Glide® motorcycle includes a USB connection which accepts your iPhone, iTouch, non-iPod imitators, an SD card and other USB compatible devices. Open the door up, plug in and your device becomes a part of your motorcycle. 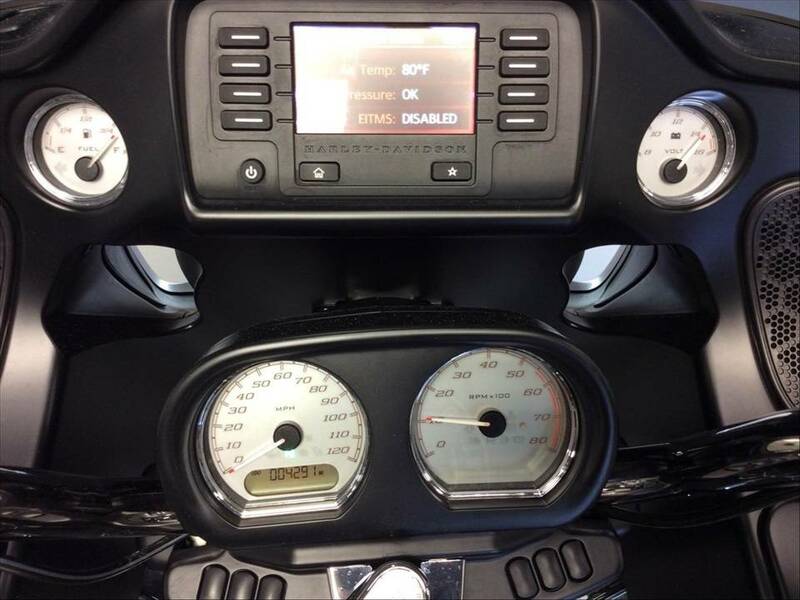 Ready to be operated by voice command or hand controls. 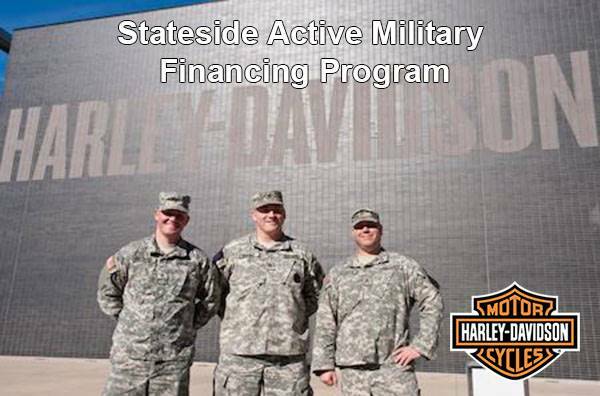 STYLE: When we set out to design a Harley-Davidson® touring machine, you know we’re aiming high. 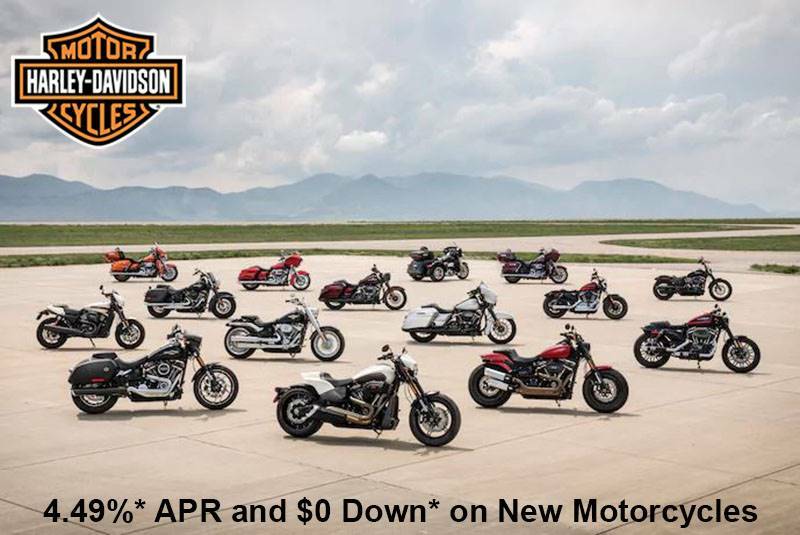 These are not just motorcycles, they’re part of the American landscape. There’s a standard to uphold. Through all the miles of testing, and the countless hours we endure to improve the way a Harley-Davidson® motorcycle works and feels, we never take our eyes off the other thing that separates a Harley-Davidson® motorcycle from any other motorcycle on the road: The Look. 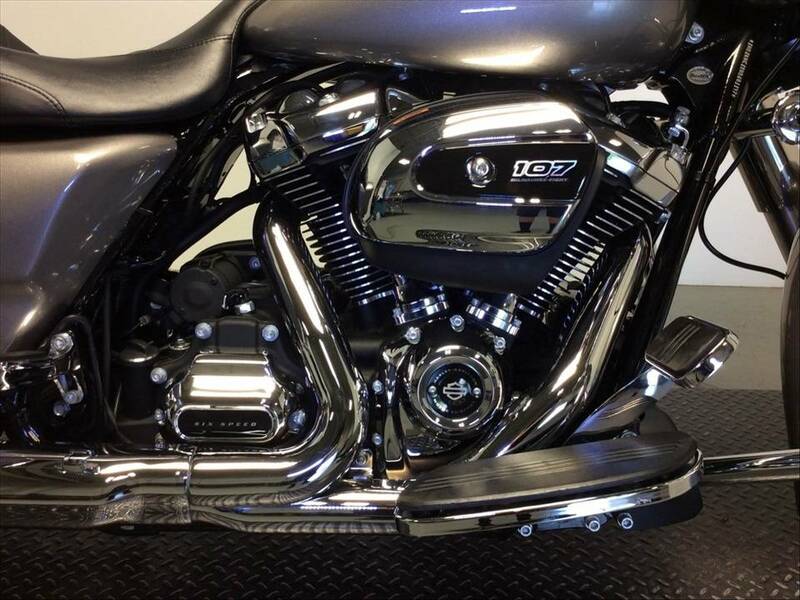 For example, check out the new Milwaukee Eight™ engine mounted in the touring frame. We put as much work into making it look like a piece of mechanical art as we put into making it deliver more power, sound better and run cooler. Let your eyes take a slow ride over the rest of the machine. 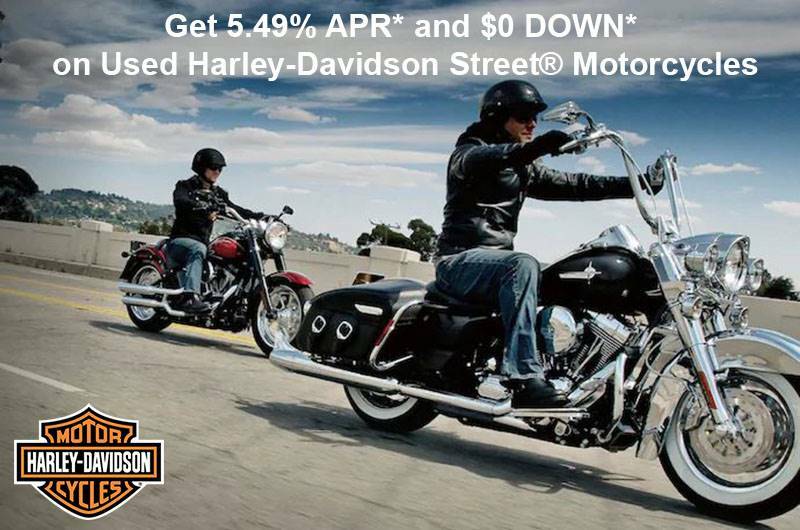 You see classic Harley-Davidson style and a sleek modern look come through at the same time. As up-to-date as the weather report. As timeless as the road is endless. 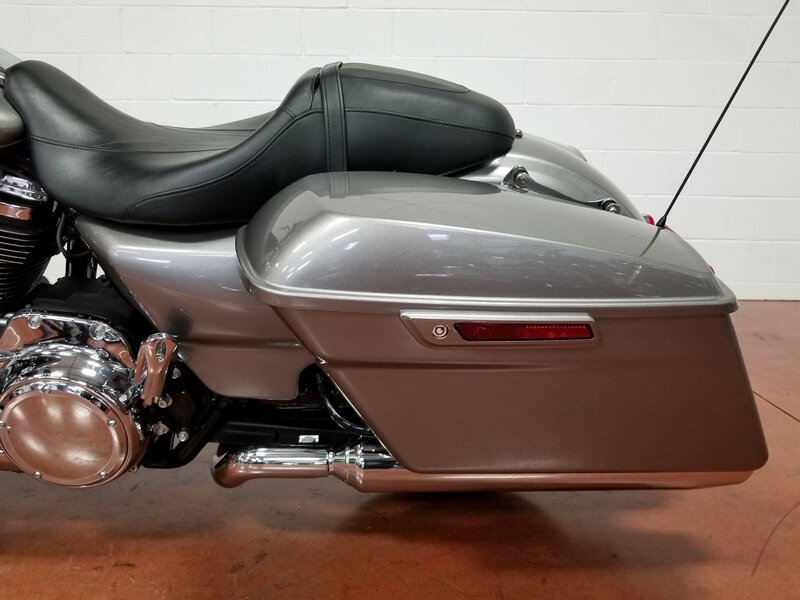 STREAMLINED FAIRING, SADDLEBAGS AND FRONT FENDER: The Road Glide® motorcycle is loved by die-hard road warriors all over the world for its distinctive, menacing, mile-hungry look. And with good reason. 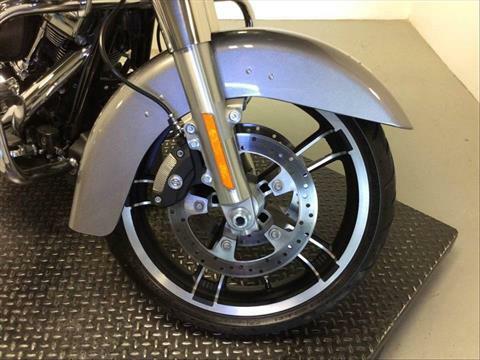 Check out the modern, aggressive style and streamlined, narrow profile of the outer fairing. 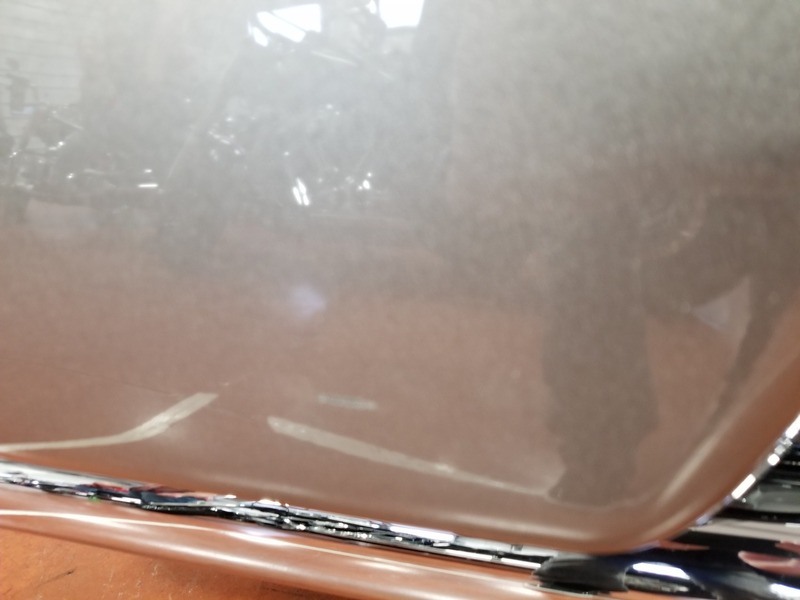 There’s clean trim on the windshield. A cut back front fender that shows off more of the wheel. 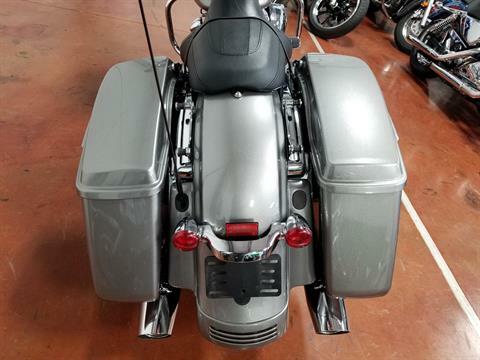 And saddlebags that give you a sleek, modern look without sacrificing luggage space. The end result is time-honored, badass, road-eating motorcycle design. The Road Glide wouldn’t have it any other way. 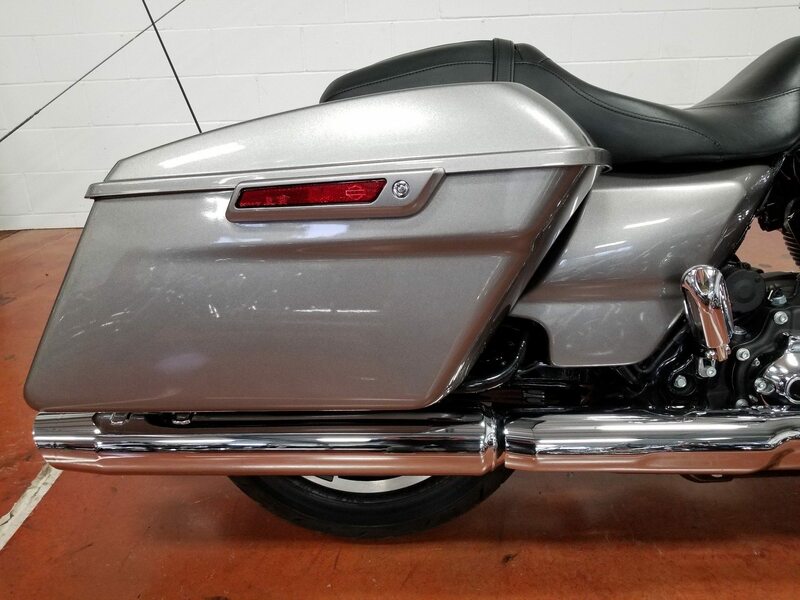 CLASSIC FUEL TANK: Part of the unmistakable style of the Harley-Davidson® Road Glide® motorcycle is plenty of room for showing off your paint. This classically styled, bold six-gallon fuel tank doesn't just give you a bigger canvas for premium or custom paint; it holds six gallons of go so you can eat up a lot more road between pit stops. We know fuel economy is important—but so is style. 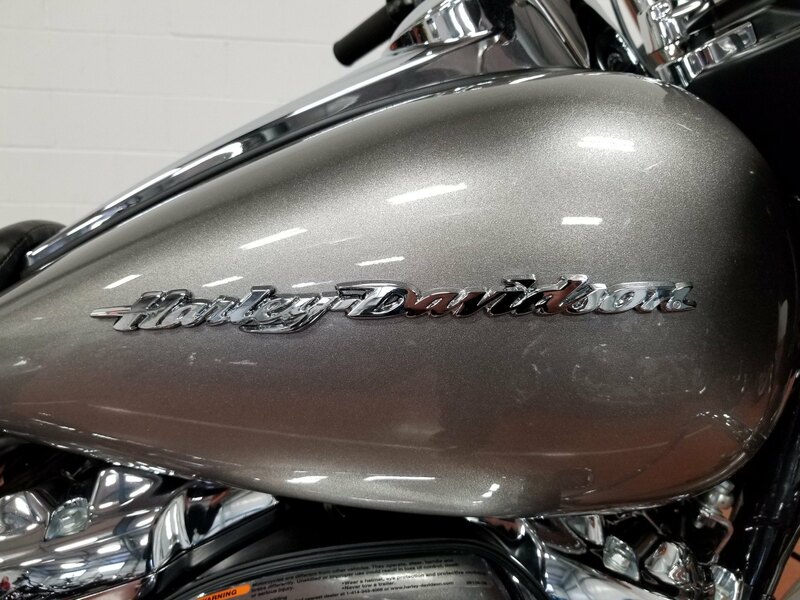 Sharp, eye-catching colors and precision-crafted Harley-Davidson® tank medallions complete the unique look of this tough bagger. 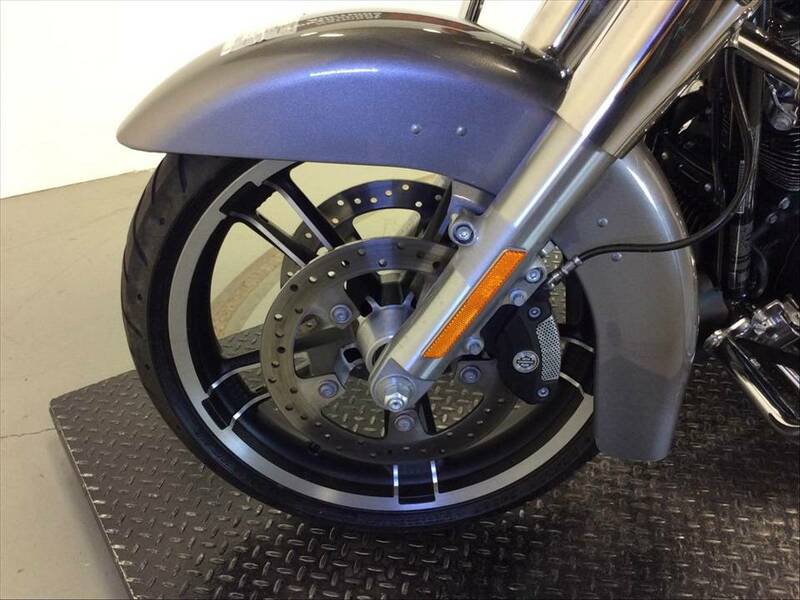 ENFORCER CAST ALUMINUM WHEELS: The Road Glide® motorcycle is designed from the ground up to cut a wide swath wherever it goes. 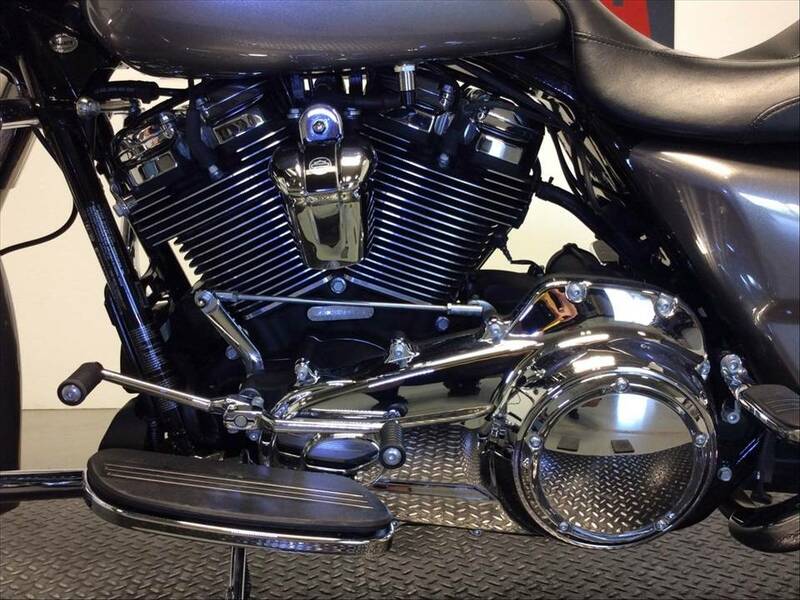 Check out the Enforcer Cast Aluminum wheels front and back. Notice how the brake rotors have been designed to show off more of the premium custom look of the wheels. You won't see any half-measures on this machine. 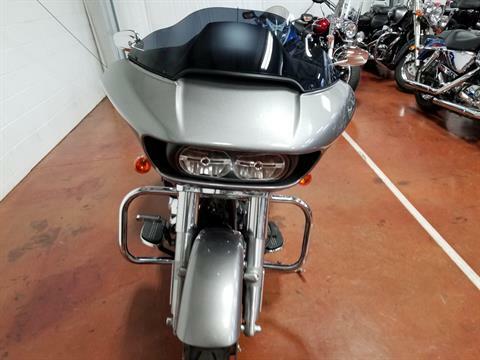 What goes on the Road Glide goes all the way. 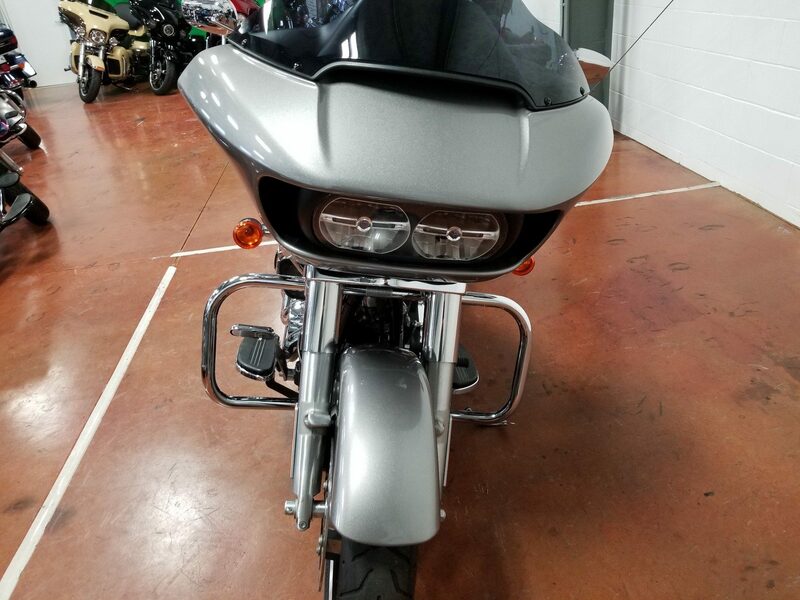 COMBINATION REAR STOP/TURN/TAIL LIGHTS: The last thing people see when you go by on the Road Glide® motorcycle is the clean, custom look of combination rear stop/turn/tail lights. You never get a second chance to make a last impression. SINGLE AM/FM/WB ANTENNA: Do you like the look of one antenna for AM/FM/WB? 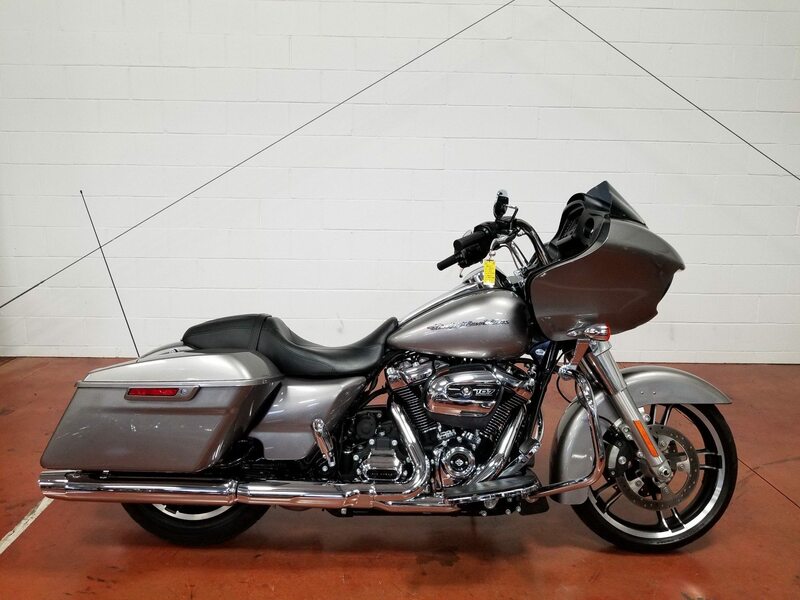 The riders we asked when we were putting the Road Glide® motorcycle through the process said "Hell yes" to that question. So now it's on the bike. As Shipped - 816 lb. In Running Order - 853 lb.